We’ve installed several types of water filters on the boat. The first filter is a whole house style sediment filter which is installed ahead of the fresh water pump. 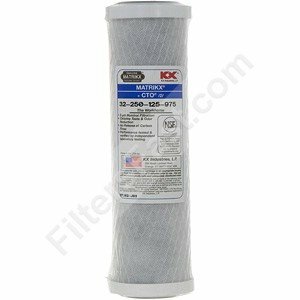 This filter protects the water pump valves and traps most all of the sediment that is common in aluminum water tanks. I chose a Pentek Slimline (5″) clear hosing so that I could easily see any sediment present and the 5″ size so that that it would easily fit under the chart drawer onboard. 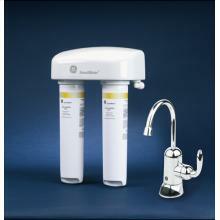 The second filter is a drinking water type filter that is installed in the galley with a dedicated water tap. The filter is a simple screw on unit that is installed under the galley sink and that can be easily changed. 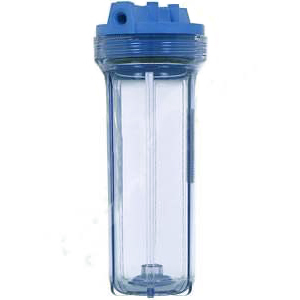 The third filter is a standard Pentek 10″ filter housing with garden hose fittings attached. We use this housing and a charcoal filter to remove chlorine from any “city” water, we might put into our water tank. We use a KX Matrix +CTO/2 Carbon block filter in the 10″ housing. 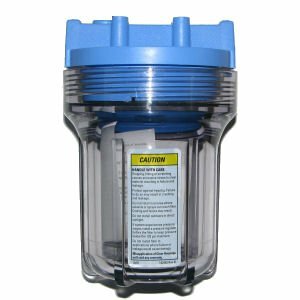 We use this same filter with the water maker to remove any residual chlorine when performing a fresh water membrane flush of the system.